As most savvy inventors would do, they took advantage of the social climate and the nation’s obsession with the Roswell incident and renamed their toy to capitalize on UFO’s and Flying Saucers. Due to lack of proper demonstration space, they moved from selling them inside booths in Woolworth and Disneyland, to events and festivals in the great outdoors. The public had never used a disk like this, and after much speculation on its legitimacy began learning how to throw them. Fred continued on to mass produce the plastic discs with his wife in Los Angeles and sold them under the name “Plutto Platter,” later to be acquired by WHAM-O. 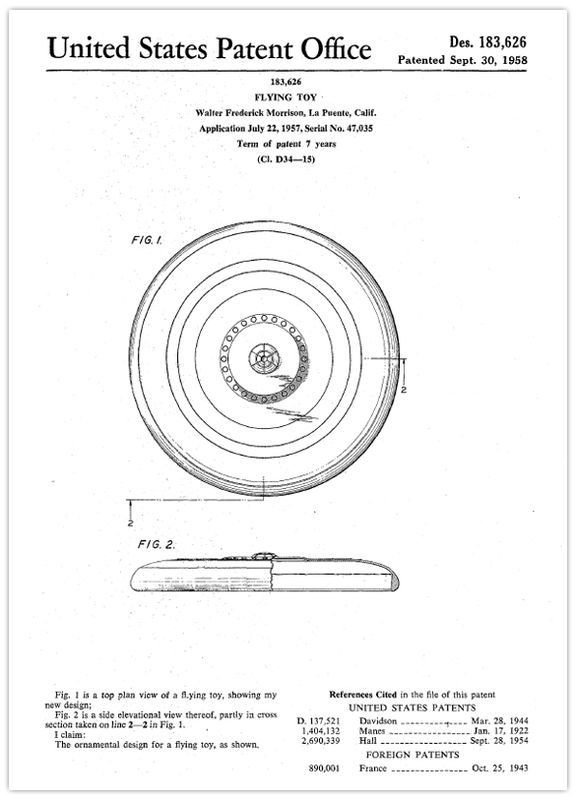 It is probably safe to say that all Americans today have thrown a Frisbee, some even too much, and it is important to note how much this inventor has shaped the world as we live it today.